Ready. Set. Go! 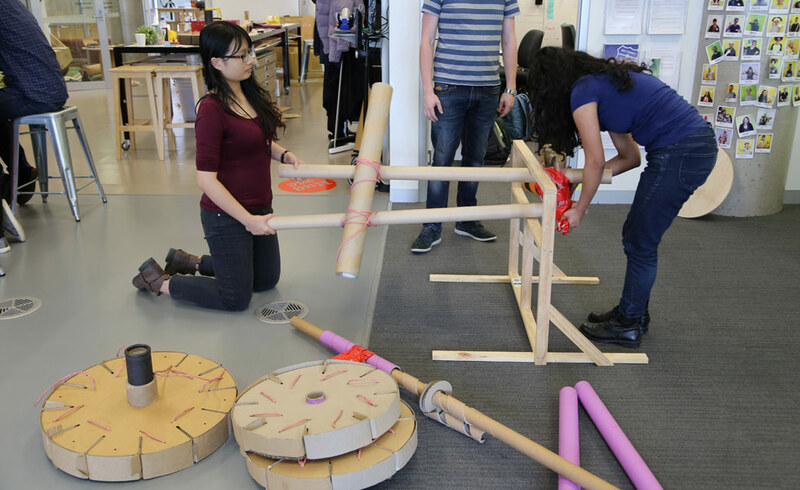 After ten days of working on paper bike designs, students of the year-long Sugar–ME310 Global Design Innovation course raced their cardboard creations at the Swinburne University Hawthorn campus. 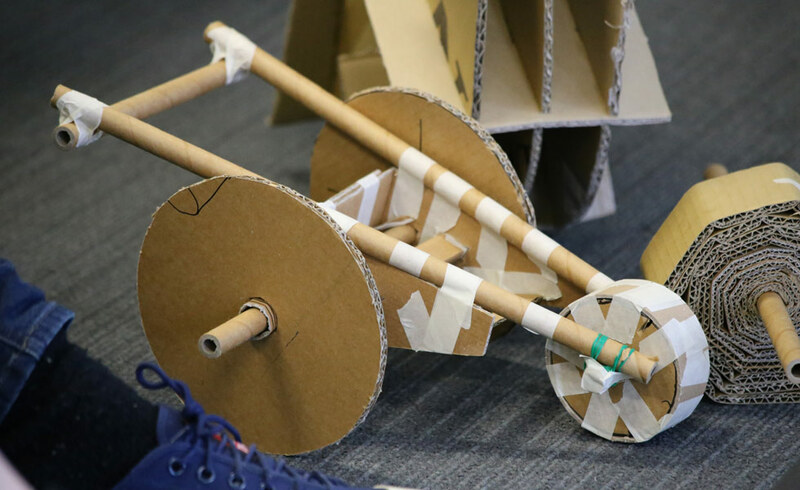 The challenge for the students was to create a cardboard bike from scratch within a tightly constrained design brief, and finally race against each other with their creations. This year’s Pokemon-themed course consisted of three tasks along the way: disassembling the bikes, picking up pokeballs and steering the bikes while blindfolded. The key was to complete these challenges and the course in the shortest amount of time. 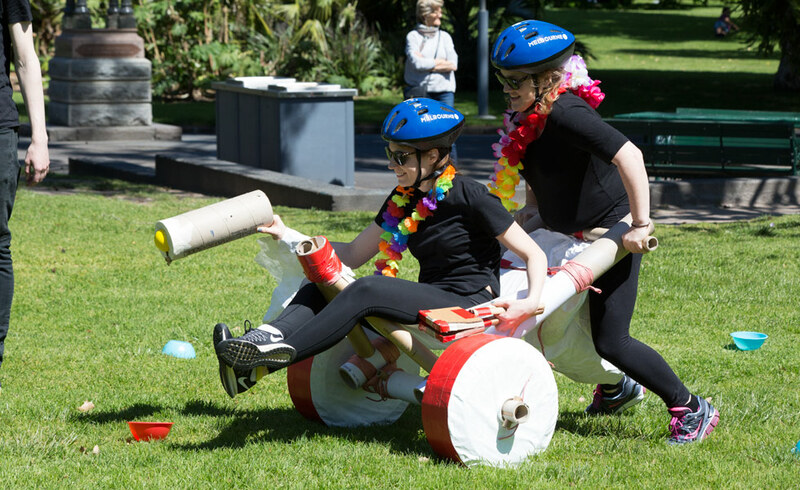 The competition challenged the dynamics of the teams, tested their engineering and origami skills, and amused the curious spectators on the sunny afternoon. Our student teams reflecting after the big race. 1. Test, test and test. The winning team cited their success was due to the numerous rounds of rigorous testing they put their design through. This enabled them to make a bike strong enough to survive the challenge. Testing continues as the bikes compete again soon at the international Paper Bike Race at Stanford University. 2. Constraints often spark innovative ideas. Instead of hindering, the constraints given in the brief helped to guide the design process. A good brief has a number of constraints which challenge the designers to come up with innovative solutions. For example, in this project the students were allowed to use only 500gm of materials other than paper, and the design had to be disassembled and built again in the middle of the race. In response to these limitations the designs took three very different directions. 3. Always prepare a plan B and adapt to changing situations. Great design can be reorganized and adjusted in unexpected situations.You should always have a plan B and expect the worse, as happened in this Paper Bike Race. One of the teams bikes axels broke early in the reace and they were forced to completely redesigned their bike on the fly. With quick thinking and few tweaks the bike was up and running and able to finish the course. 4. Learn by doing. The way to master the design and innovation process is by getting your hands dirty. While you might have learned about design thinking in theory, when you actually start using the techniques and tools in practice you really start to understand them in depth. Moreover, you will learn to use tools such as laser cutters and drills, which are useful for future prototyping and projects. The Sugar-ME310 Design Innovation course originates from Stanford University. 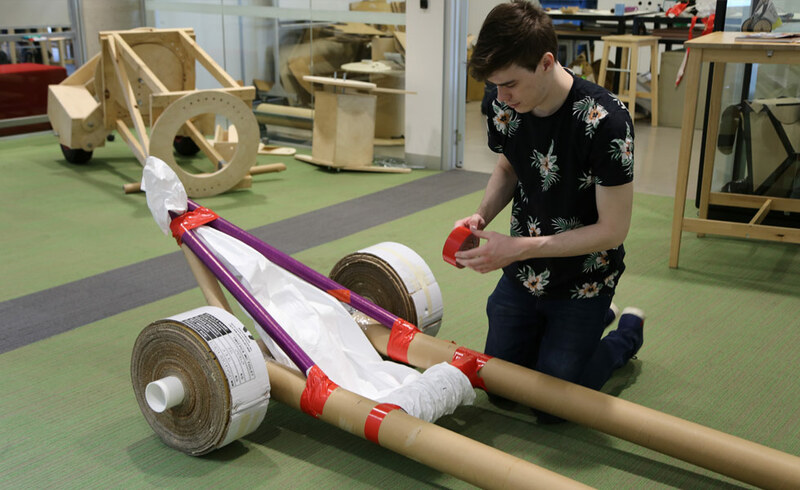 The task of creating these unique paper bikes kicks off the year long international and interdisciplinary project done together with team members from partner universities around the world. Next the students will meet their international counterparts and kick off their industry projects in Aalto University, Finland, Kyoto Institute of Technology, Japan and Porto Polytechnic, Portugal. 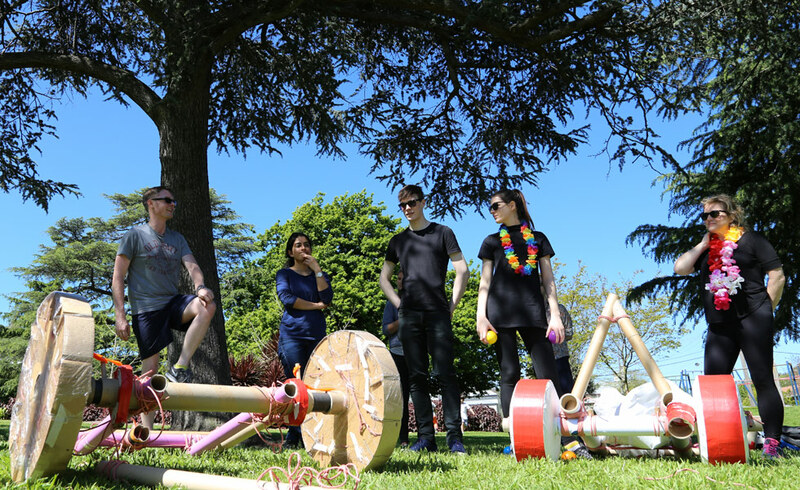 For two year’s running the Paper Bike challenge has been supported through our design collaboration with Xanita. In order to make swift and robust paper vehicles that will compete at an international level the teams have found Xanita board to be the best paper based product with the best mechanical properties. Not only is it lightweight and strong it’s made entirely from post-consumer recycled kraft paper and is non-toxic. Big thanks to Xanita for giving the Design Factory teams “The Edge” in the paper engineering challenge!